Single pack water based floor paint for light traffic areas. 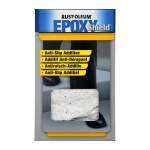 Rust-Oleum 5200 Epoxyshield Ultra is quick-drying single pack water-based floor coating (epoxy-modified acrylic) for light to medium duty (normal foot traffic/limited vehicular traffic). Easy to apply, touch dry after just 2 hours and gives a satin-matt finish. Good resistance to diesel, motor oil, coolant fluid, various household chemicals and most types of tyre. EpoxyShield 5200 ULTRA can be applied on concrete floors which are completely clean, dry and treated with EpoxyShield Sealer 5220. Application is by brush or roller with coverage up to 9sq/m per litre. 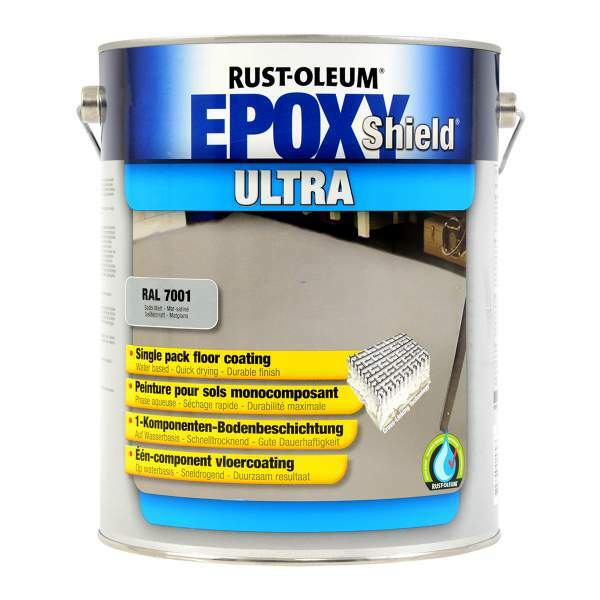 Rust-Oleum Industrial 5200 Epoxyshield Ultra RAL7001 is available in 1 colours from the Rust-Oleum Industrial Colour Cards. Quick-drying single pack water-based floor coating (epoxy-modified acrylic) for light to medium duty (normal foot traffic/limited vehicular traffic). 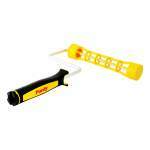 Good resistance to diesel, motor oil, coolant fluid, various household chemicals and most types of tyre. Only apply to completely clean and dry concrete floors. Do not apply to smooth and completely sealed concrete or concrete containing a curing compound. Remove oil, grease and all other contaminants with EpoxyShield Cleaner/Degreaser 2901. Allow new concrete to set for at least 30 days. Remove laitance, loose and damaged concrete by sandblasting or keying with RUST-OLEUM Surfa-Etch 108. 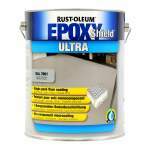 Repair all holes and cracks with EpoxyShield concrete repair products. Always pre-treat absorbent, porous surfaces with EpoxyShield Sealer 5220. Roughen well-sealed and smooth concrete and treat with Epoxyshield Sealer 5220. Roughen still-intact floor coatings to ensure good adherence. Remove poorly-adhering old coatings with wire brush and sandpaper. During application the surface must be clean and dry. Before use mix the coating thoroughly to a good homogeneity. Apply undiluted in at least two coats using a nylon roller or a polyester brush. For the best results use EpoxyShield Sealer 5220 as first coat. Recommended film thickness: 40 pm dry, (100 pm wet). The temperature of the surface must be at least 3°C above the dew point. Touch dry: 2 hours — Recoatable: 6 hours — Safe to walk on: 16 hours — Park a vehicle: after 7 days. Temperature and humidity affect the drying times. Around 9m² per litre per coat dependent on surface and application. Two coats recommended. With soap and water immediately after application. Revolution Frame 9" x 1.75"
Pro-Extra White Dove Semi Rough Sleeve 9" x 1.75"